The building of Gunn Ranch Academy one caliche rock at a time; our friends, family, passions, learning adventures and our little piece of HIStory in the making! With more and more families turning to homeschooling to educate their children, we are seeing lots of fabulous resources created to fill a special niche in our community. 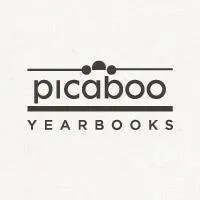 Picaboo Yearbooks is one such company that has made it easy and fun to create a special keepsake for your kids just like the ones you used to flip through and have your friends sign at the end of your school year. Now even homeschoolers can create their very own yearbooks! For review I was blessed with the opportunity to design our very own 8.5 x 11 20 Page Softcover Yearbook. I was really surprised when I found out the cost is only $8.49 plus $10.99 shipping, making our memories easy to flip back through over and over for under twenty bucks. But even better than that, the shipping price has now been lowered to $8.99! There are also many options such as hardcover books, and adding pages for an additional cost. When I first clicked over to the website, my brain went into overdrive. I became so overwhelmed with ideas and possibilities that my creative juices started flowing and I just couldn’t imagine how I’d ever decide just what to include! And then it hit me. This past year our family has been on a most spectacular journey! From finding just the right stud, to the ultrasounds, to the waiting and watching, breeding our mare and welcoming our new baby foal into the world has been the adventure of a lifetime for our family. My oldest daughter put so much time and research into genetic testing, breeding, and imprint training that it seemed perfect to put all those precious memories into a book for her and our family. But that was only the beginning! Once I created an account and watched the introductory video, I couldn’t wait to get started. I began by choosing photos to create a wrap-around photo cover. It was super-easy to upload the photos and the format is totally self-explanatory. I adjusted a photo of our mare and foal on the right half of the wraparound cover and then placed a close-up photo of Sparky the foal on the left half that would be the back of book. 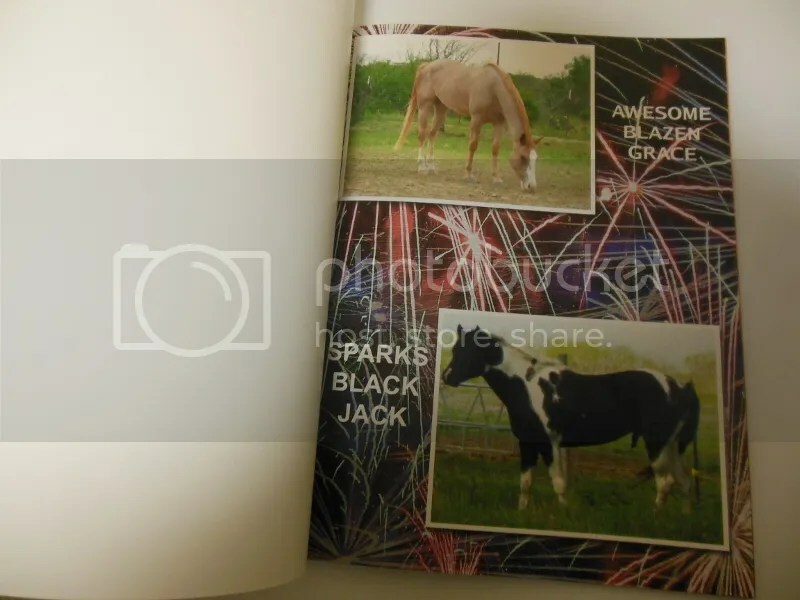 I centered the title of the book “Spark Up the Awesome” which is our foal’s registered name. I quickly found the “Birds Eye View” which let me see how the whole thing would look. Cool! I was actually surprised at how easy it was to use the program. As I thought about the photos and time period I was dealing with, I easily labeled 20 pages, and was ready to start filling them up. For the first page I created I used a picture of our mare and the stud-horse. I clicked the photos and placed them on the page, re-sized them just how I wanted them and then dragged the photos to just the right places. The program asks if you would like it to arrange the photos for you, which is especially nice if you load several. I ended up using this feature on a couple of pages. Next it was time to play with the backgrounds. There are tons of really cool backgrounds, and it’s easy to click through and place a background on your page either before or after you have your photos in place. You can change the backgrounds at any time if you decide later you want to use a different one. I found some really awesome backgrounds with fireworks in many different formations and colors, and chose one that fit perfectly! Next I played with the text. It was fun to look at all the different fonts and make it bigger and smaller until it looked just right. Once the page was finished I was able to lock it for safety, but it remains easy to edit any of the pages right up until you submit the book for publishing. 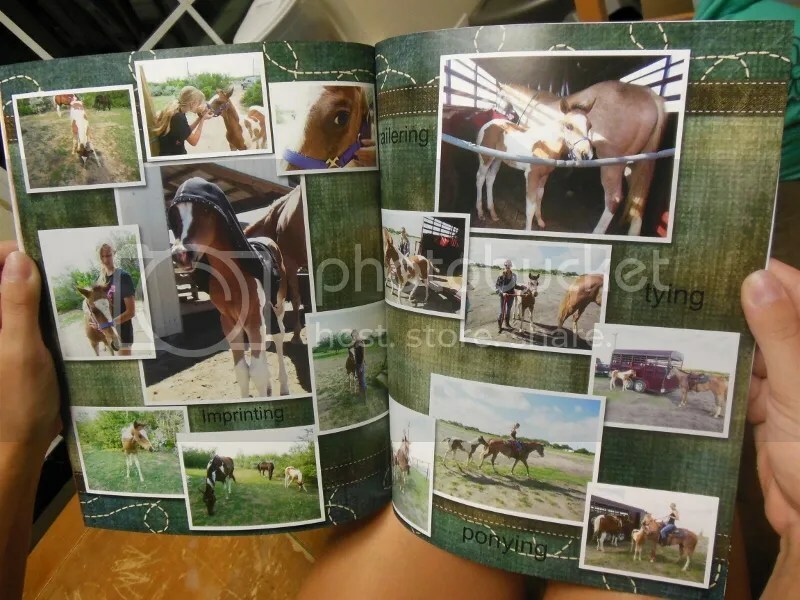 The next two pages featured a collage of some favorite photos of my oldest daughter Morgan and our mare Grace. Following this was pictures of the kids with the mare showing off her big belly, getting ready for the birth, pictures of the pH test strips my daughter used, then pictures of the birth of the foal followed by newborn photos, imprinting pictures, trailering, bathing, a page with a photo of the front page of the newspaper that featured an article on Morgan and her foal, and the last page is a picture of the APHA registration papers on a flag background. Whew!! Some of the cool backgrounds I used were denim, hay, stars, tooled leather, western stitched border, scrolled hearts with wings, and the American Flag. 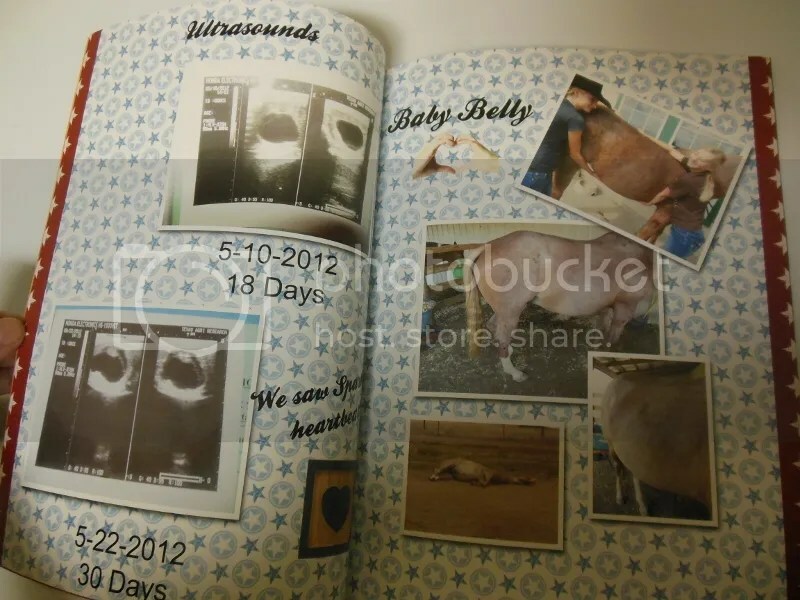 I also added a few “stickers” to some of the pages like a blue heart block on the page where I put the ultrasound pictures when we saw the foals heart beat. I should mention that I was nervous about being able to upload my photos for this project because of my country-fried internet, but I’m happy to report I had absolutely no issues. 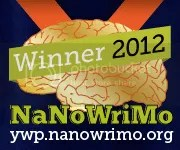 Once I was satisfied with my book, I locked each page and submitted it. While the website states that there is a three-week turnaround, I received my book in two weeks! It was packed securely in bubble wrap inside a sturdy box. I screamed when I opened the box. It is the most fantastic and beautiful, professional-looking thing I’ve ever created!! I chose matte finish (as opposed to the glossy option) and the pages are so very awesome. They are thick, high quality and the texture is amazing. Each page is bright and colorful and vibrant! My daughters are just tickled pink with it! What an amazing keepsake of our family’s incredible mare and foal journey!! I will be making many more of these. My next project will be a book for my 13-year-old featuring her and her horses. Then I will be making one of our 4-H horse judging years, and one with all of our Gunn Ranch animals. I can think of so many possibilities for gifts, for friends, coaches, family, mentors, etc. I am thinking also, that I will make each child an actual yearbook of their homeschool journey for graduation. The possibilities are just endless! Check out my Crew Mates’ yearbooks over at the crew blog! Enjoy your journey more with a Picaboo yearbook!! Categories: TOS Crew Reviews 2013 | Permalink. I’m Chris and I work full time for my three kids, and part time as a veterinarian. 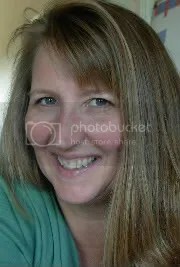 This blog shares a little piece of our world – our homeschooling, 4-H and Youth Crew adventures, my Schoolhouse Review Crew reviews as well as some independent book publisher reviews, my experiences writing and singing with our church’s praise team, and anything else I feel like sharing. It’s my desire to glorify God in everything I do! Come like my Facebook Page!! I have 50 followers, please follow me! 15 followers- come on along!! Morgan and Taylor won in 2012! Morgan and Taylor won in 2011! Morgan and Taylor won in 2010!